Le polish has a lovely Polish Con New York 2018 Trio that you can pick up at the table Allison will be sharing with Stefanie of Supernatural Lacquer! This trio has polishes that can be purchased individually or as a set with a free vinyl. Let's check them out! 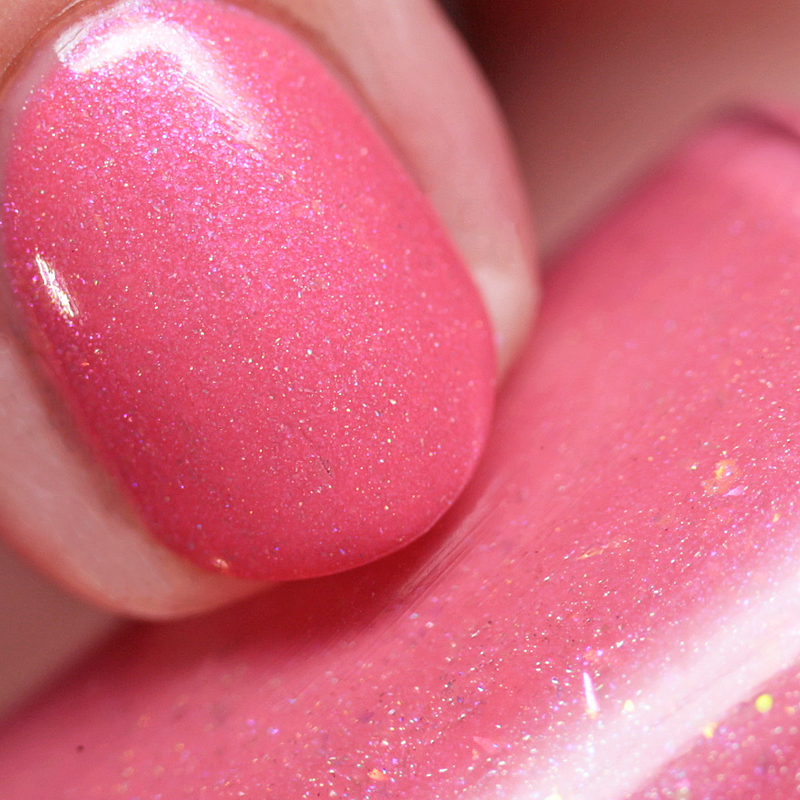 Le polish Fairytale Ending is a coral pink with scattered holo shimmer, blue-to-magenta duochrome shimmer, and pink-to-gold duochrome iridescent flakes. I wore it in three thin coats, but two will do, and it had a great, quick-drying formula. Le polish Love Potion is an amethyst jelly with scattered holo shimmer and blue-to-red multichrome flakes. I wore it in four thin coats for maximum depth, but two or three will do. Perfect, quick-drying formula. Le polish Woodland Wedding is a deep, cool burgundy jelly with green-to-magenta multichrome shimmer. I wore it in three thin coats and it had a great, quick-drying formula. I love how brooding and shifty this one is! The Le polish Polish Con New York Trio is available at the event on Saturday, June 16 for $32 for the full set plus free vinyl. This trio has everything from delicate shades to a vampy shifter - what's not to love? I will be back with more releases from Polish Con New York soon!